A bill filed Friday by state Rep. John Zerwas, R-Simonton, would grant the Texas Health and Human Services Commission authority to craft “a Texas solution” to Medicaid reform. State Rep. John Zerwas, R-Simonton, filed legislation Friday that would grant the Health and Human Services Commission authority to craft “a Texas solution” to Medicaid reform and negotiate with the Obama administration to draw down billions in federal financing to expand Medicaid services. HB 3791 directs the HHSC to negotiate with the Obama administration so that Texas can draw down Medicaid expansion financing while implementing Medicaid reforms that enhance the “personal responsibility” of Medicaid recipients, such as copayments or deductibles. It also includes a severability clause that ends the agreement if the federal government reduced its share of Medicaid expansion financing. A House Appropriations Committee hearing on Friday provided the clearest picture yet of how divided the Texas House is on expanding Medicaid, a key tenet of federal health reform. After three hours of invited testimony on whether to expand subsidized health coverage to more poor adults, Chairman Jim Pitts, R-Waxahachie, told his colleagues they have an “obligation to discuss” options for reforming the current Medicaid system. Although the House GOP caucus overwhelmingly voted on Monday to reject the version of the Medicaid expansion called for under the Affordable Care Act, lawmakers left the door open to discussing other possibilities for reforming Medicaid and drawing down dollars from the federal government to do it. Since that vote, House Speaker Joe Straus has put pressure on legislators to present a proposal for how Texas should reform Medicaid. He hasn't ruled out negotiations with the Obama administration that could lead to the expansion of the Medicaid program — on Texas' terms. Eight Republican governors have struck deals with the federal government to expand Medicaid, but Gov. Rick Perry has remained firm in his opposition. He has repeatedly said the federal government should grant Texas the flexibility to reform Medicaid as the state sees fit. Requiring Medicaid patients to make co-payments for their care — an option that has received support from Perry, Straus and other GOP members — is allowed under the Affordable Care Act, Janek said. He said that if Texas took a different route and attempted to subsidize private health plans through an Orbitz-style health insurance exchange like Arkansas, the state would need to set up policies to ensure benefits offered by Medicaid that weren't covered by private plans didn't disappear. Kolkhorst said that without expanding Medicaid, other tenets of the Affordable Care Act would reduce Texas’ uninsured rate from 24 percent — the highest in the nation — to 16 percent. Including the Medicaid expansion would drop the uninsured rate slightly more, down to 12 percent. The Legislative Budget Board estimates that the direct cost to the state of expanding Medicaid as directed by the Affordable Care Act — an option that is largely off the table — would be $50 million in 2014, during which time the state would draw down $4 billion in federal financing. The federal government would finance 100 percent of the health care costs for Medicaid expansion enrollees for the first three years, during which time Texas would be required to pay half of the program’s administrative costs. After 2016, the federal share of financing would slowly be reduced until it reached 90 percent in 2020. 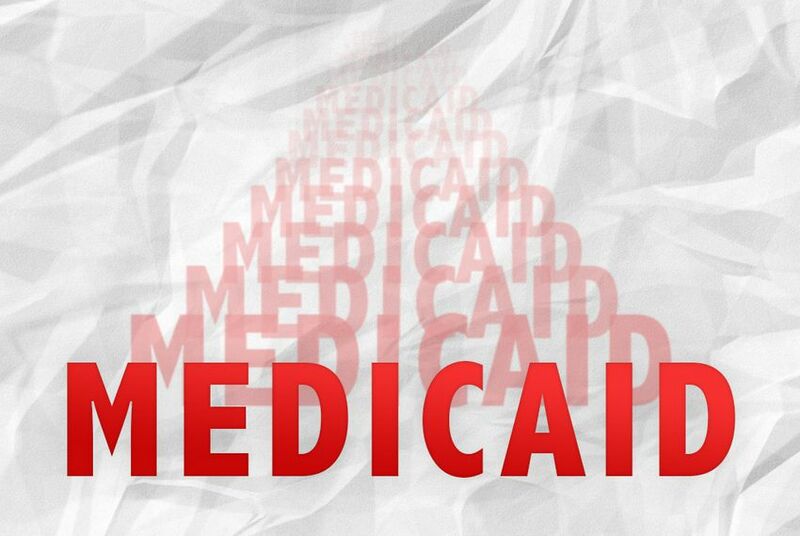 There is no deadline for Texas to decide whether to expand Medicaid, but the 100 percent federal matching rate is only available between 2014 and 2016. The federal government has indicated that partial expansion would not be allowed; therefore, Texas counties could not pursue Medicaid expansion without the rest of the state, an earlier option proposed by LBB staff. “The common expectation would be that there would be less or fewer uncompensated costs,” said Wayne Pulver, assistant director of the LBB, emphasizing that the nonpartisan body's estimates did not take into account secondary economic effects, such as the reduction of uncompensated care costs currently paid by hospitals and local government entities. Rep. John Zerwas, R-Simonton and an anesthesiologist, said Texas needs to ensure that any expansion of reform of Medicaid include ways to incentivize more health care providers to accept those patients. If it doesn't, those patients will end up in the highest-cost environments, emergency rooms. Zerwas pointed out that only 32 percent of doctors are willing to take Medicaid patients in the existing program, under current reimbursement rates.